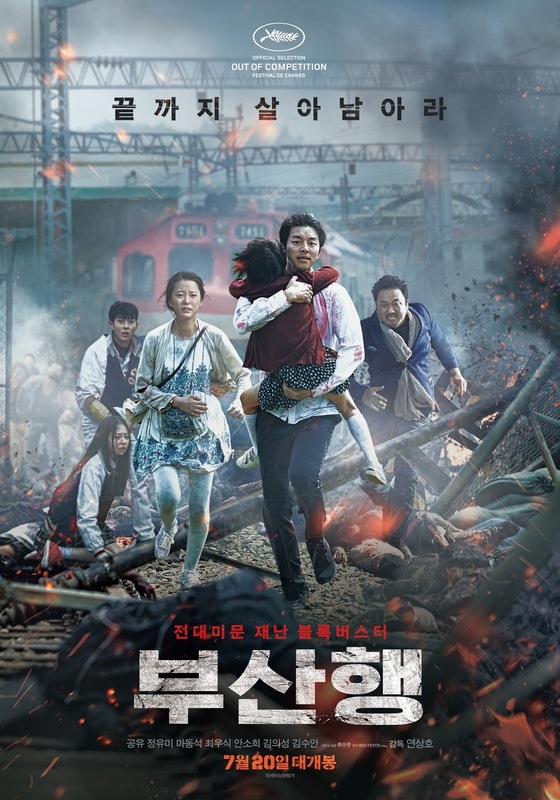 PennsylvAsia: 2016 Korean zombie movie Train to Busan (부산행) at Pitt, March 31. 2016 Korean zombie movie Train to Busan (부산행) at Pitt, March 31. The setup is lean and clean. A flattened deer, mowed down in a quarantine zone in Seoul where some kind of chemical spill has occurred (echoes of Bong Joon-ho’s 2007 enviro-horror film, “The Host”), springs back to life. Then, in just a few swiftly efficient scenes, we meet a harried hedge-fund manager and his small, sad daughter (Gong Yoo and an amazing Kim Su-ahn), see them settled on the titular locomotive and watch in dismay as a vividly unwell last-minute passenger lurches onboard. And we’re off! Sprinting right out of the gate, the director, Yeon Sang-ho, dives gleefully into a sandbox of spilled brains and smug entitlement. (“In the old days, they’d be re-educated,” one biddy remarks upon spying an undesirable fellow traveler.) As zombies chomp and multiply, an assortment of regular folks face them down while furthering an extended critique of corporate callousness. The politics are sweet, but it’s the creatures that divert. Eyes like Ping-Pong balls and spines like rubber — I’d wager more than a few chiropractors were required on the set — they attack in seizures of spastic energy. They’re like break-dancing corpses. The movie will play from 4:00 to 7:00 pm in 4130 Posvar Hall (map) and is free and open to the public.